A community driven by passionate individuals with aspirations to grow the game of hockey... everywhere. While some enjoy that moment of scoring goals, we know that not everyone can play this amazing game. 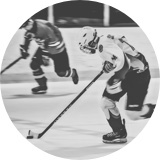 At Hockey Community we are working hard on building a universal platform which will easily connect you to players, events, gear and even motivation to ensure the game of hockey is accessible by everyone. You can help too! Let's make hockey happen together. Contact us and let us know how you can help grow the game of hockey around your city. With the blend of passion and persistance, you can achieve nearly anything. Work hard on those skills and you'll execute goals with incredible precision. WIN ON 3. 1, 2, 3, WIN! Winning doesn't come from a solo effort. Players must band together to defend and score goals. It takes collaborative effort, discipline, and communication to win a game and this is all done with teamwork. When you get knocked down, you get right back up. The game doesn't end there when a little adversity hits you. Keep going and strive to be the best you can be by pushing through the challenges. Life will throw some hits and try to steal the most important thing from you, the puck. Keep your head up and be aware of who is after you and where they're coming from on and off the ice. Celebrate every little accomplishment as if it's your first goal. Acknowledging the greatness in every moment will help you live a positive life. Life will tempt you in challenging times to take the easiest path, but you must sacrifice short term pain to benefit in the long run. Block that shot for the win! 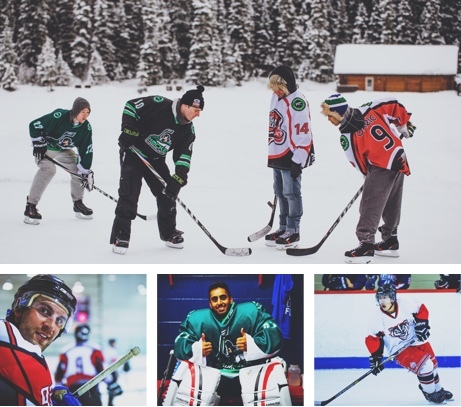 How is Hockey Community making hockey happen? Not sure how to be a hockey player? Don't worry HC has you covered. We've put together a few easy steps for your to follow. 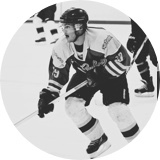 Follow them and you're on your way to being an official member of the Hockey Community! Hear the stories from Nica, Igor and the HC Team on Hockey Night in Canada. After being on national television, Hockey Community received support from hockey lovers around the world and welcomed over 2,000 hockey players on to HC in just one day. Dave's doctors strongly suggested he get back into shape if he wanted to fight his disease. 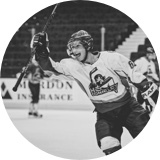 He took the challenge and leveraged the Hockey Community app to play as much as he could. Hockey Community collaborates with Oxelo, and How to Hockey, on how to make the sport more accessible. This is where all the magic happens. 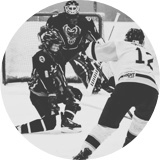 Take a look behind the scenes at Hockey Community. 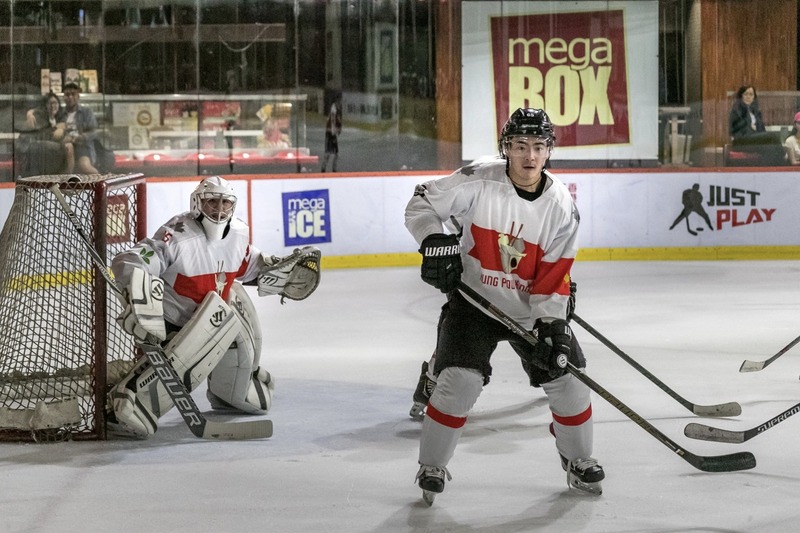 It all began when Hockey Community’s founder, Alex, moved from France to Canada to experience thegreat Canadian culture. With the hopes of playing the game we’ve all come to love, he discovered the frustration of finding hockey in Vancouver. Although the city had the reputation of being a hockey hotbed, it still wasn't that easy to find a game. Alex’s good friend, Ryan — a local and very passionate hockey enthusiast — decided to step in tohelp support the idea. 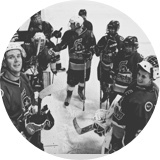 The idea was to create a social platform with the mission: “Make hockey more accessible.” Hockey Community, the first social network for recreational hockey players, was born. The community is thriving in the local grassroots of BC, and continues to expand globally with players as far away as Belgium, France, Mexico, the UK, and Japan. With a growing community, Alex and Ryan have assembled an official HC hockey team that sharesthe goal of making hockey happen...everywhere. We love hockey as much as you do. We eat, sleep, breathe, and smell like hockey. 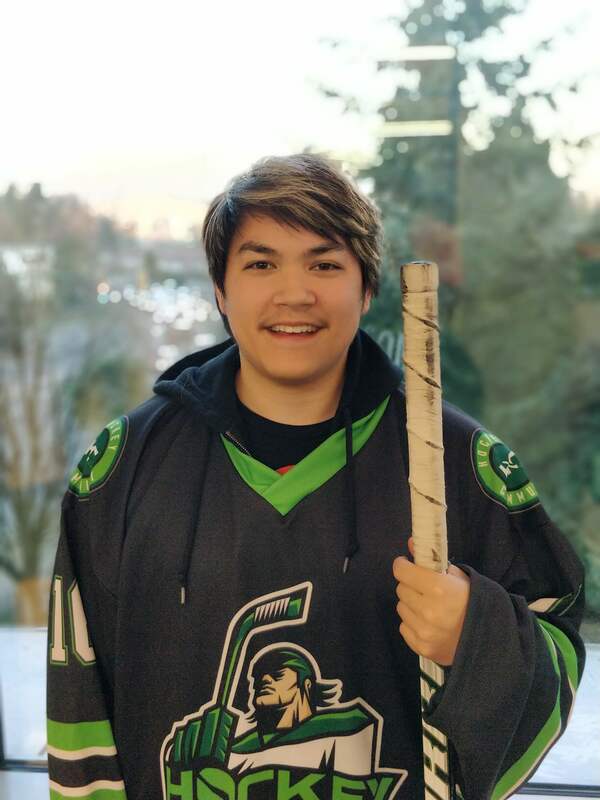 Meet the teambehind Hockey Community. We’re a diverse set of players from all different backgrounds that want to grow the game. The mastermind and captain behind Hockey Community. Alex has the passion for innovative technology. He now focuses on discovering the best minds on the planet to work on making hockey more accessible. You’ll find him breezing through the defence, trying to perfect his electric spino-o-rama move only to get shut down by a defenseman. The assistant captain of Hockey Community. He is behind the vision and player experience of HC. Known to have the silkiest mitts. The man with the magic hands not only creates the design vision, but also manages the day-to-day operations at HC. His creativity has helped fuel the brand of HC. The man that is behind HC’s technology is as fearless as your regular third string NHL goaltender. His expertise with today’s technology brings HC to the leading edge. 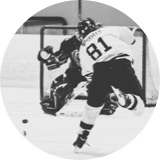 Don’t be fooled by his unorthodox style of goaltending as your wide open net might get stymied by a wild pad stack. The guy whose work is almost invisible to our users. Jack is responsible for all back-end development, database management, and server operations. Having only played hockey for a few years since moving to Canada from the UK, it’s fair to say he’s more at home in front of a keyboard than on the ice. It’s never too late to learn though, right? The guy behind nurturing and growing HC’s community. He enjoys checking analytics and metrics almost as much as hockey stats, and tries to bring this cerebral approach to the ice. Most of the time though, he ends up overthinking the game and shooting wide. Peter is the mastermind behind our annual Beat The Heat tournament. He makes everything look smooth and effortless both on and off the ice. A transplant from the Prairies, Peter has somehow only been playing hockey for six years. That’s why he gets a pass for once awarding the trophy to the wrong team. Everyone’s a winner in Peter’s books, and he’s a winner in ours. 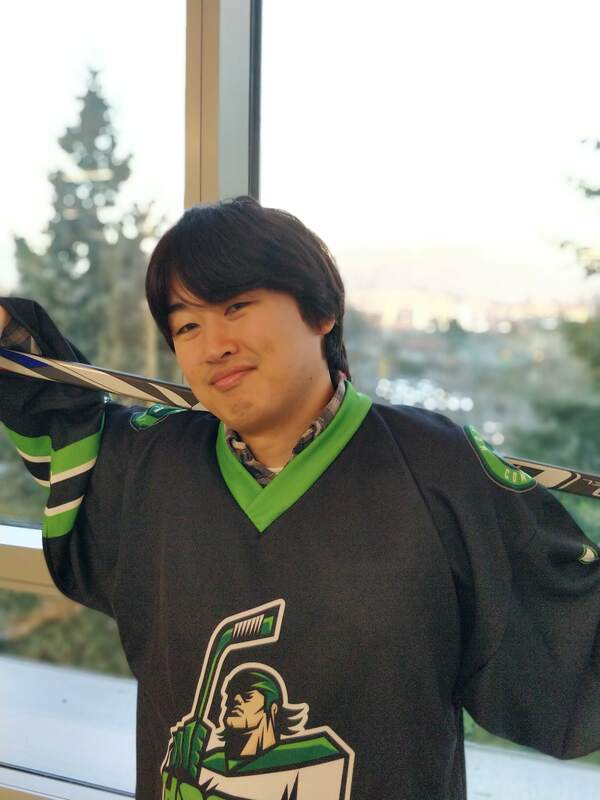 Like Hiroyuki Miura to the NHL, Masa is the first Japanese-born draftee to the HC team. Hailing from Tokyo, he’s a front-end phenom. It’s still a work in progress to make him love hockey as much as he loves curry, but it’s getting there. HC’s newest recruit has been playing hockey since he was just five years old. Skilled at both forward and defence, he brings this combination of front-end and back-end experience to his role as a full-stack developer. Described as a playmaker, he’s busy setting up new back-end technologies that power our app. We're always looking for passionate and driven individuals who share common values and vision at Hockey Community. Shoot us an email and make sure to attach your resume.